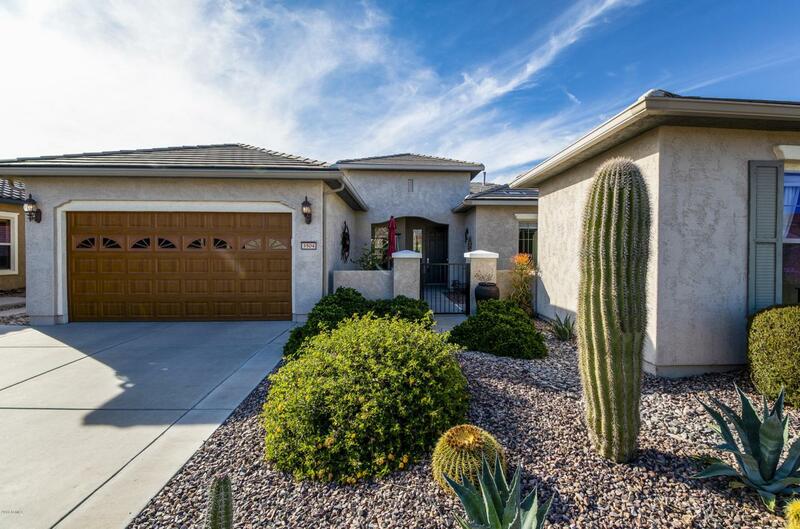 Enjoy all that Sun City Anthem has to offer with this top selling Arcadia floor plan! Sitting on a private corner home site, close to Community Center, Pools, Championship Golf Course and more! Great home for entertaining, large front porch plus private guest casita with it's very own bedroom and bathroom. Inside the main home, you'll love the massive 10 ft ceilings, large eat in kitchen, oversized master bedroom with luxurious bath featuring a separate tub and walk in shower. Open den, perfect for an office or craft room. Outback, you'll love the sparkling pool w/ new filter + variable speed pump, BBQ & low maintenance artificial turf. VERY energy efficient! LOW utility bills! Solar! HOA fees include all amenities, resident golf rates.